Order in next 6hrs 58mins for next working day delivery. Formed in a contemporary and sleek design, these Ray-Ban RB3576N Blaze Clubmaster sunglasses are an essential eyewear accessory for this summer. Can be worn by both men and women, the vintage clubmaster silhouette offers an exciting contrast that adds towards the futuristic look of the model. The retro frames are made from bronze copper metal and completed by a silver brow and light blue lenses for up-to-date style. 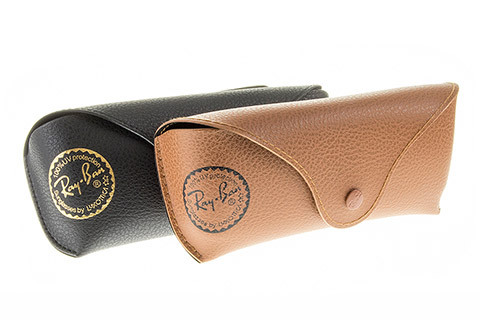 At the temples, the Ray-Ban signature logo can be seen, ensuring authenticity. With the RB3576N Blaze Clubmaster sunglasses, you can be sure of 100% UV protection and comfort, as they are designed with nose pads and temple tips. Buy designer sunglasses and save 10% on your first order at FeelGoodContacts.com.